I’ve always felt that one of the greatest gifts of hiking is its ability to make us slow down to ponder the world. When I step onto a trail, any trail, I feel the pressure of day-to-day living begin to evaporate into the mountain or forest air. What I know, before I even get a few feet down the path, is that I’ve been granted a temporary visa to a place where I can live squarely in the present — a world free from incessant noise, rush hour traffic, the manmade crisis of the day and work stress. Of course, those pressure-filled thoughts don’t always get banished without a good shove. There have been plenty of hikes when it took a day or two to get those uninvited companions to leave, but once they did, my trips inevitably got better. I was freer to get more out of the adventures that were unfolding at my feet. Freer to tune into the present without worrying about what had happened before I left and what might happen after I got back. My mental state — Am I alert? Happy? Capable of making good decisions? Do I need to change my daily plan? My physical state — Am I tired? Do I need a break? How are my muscles and joints? What can I do to ensure I arrive safely at camp (do I need to speed up or slow down or is my current pace ok)? My hiking companion(s) (if applicable) — Where are they? When is the last time I saw them? How are they doing physically and mentally? Food/water — When is the last time I (we) ate/drank? Where is the next water source? When is the next meal and what is it? How much food/stove fuel do I (we) have left? Weather – What are the current conditions? Have they changed? How might we need to change our itinerary to accommodate current and upcoming conditions? Gear — I do a thorough gear/clothing condition assessment before each trip. Nonetheless, I do keep an eye on how things are performing in the field. While only two trips in forty years have required detours for replacements or repairs, I feel it’s worth noting. All of these things rely on gauging current and near current conditions and adapting to them. But not all of them require constant attention, simply awareness. I find that if I am touching base with the first five things throughout the day, it helps me do my part keep the adventure on course. The benefits of this approach are being able to fully enjoy the day and gaining insights into myself and my surroundings — things I’d miss if my head was full of unimportant thoughts and distractions. “Living in the present” is, of course, the holy grail of our age. It’s hard to move about in society without someone extolling the benefits of shedding the regrets of our past and the uncertainties of our futures from an ad, book or YouTube post. But it’s easier said than done, particularly when you are caught in the spin cycle of daily commutes and endless “to do” lists. Maybe stepping off the Merry-Go-Round in favor of the linear path is just what we need after all. It’s not a new concept. 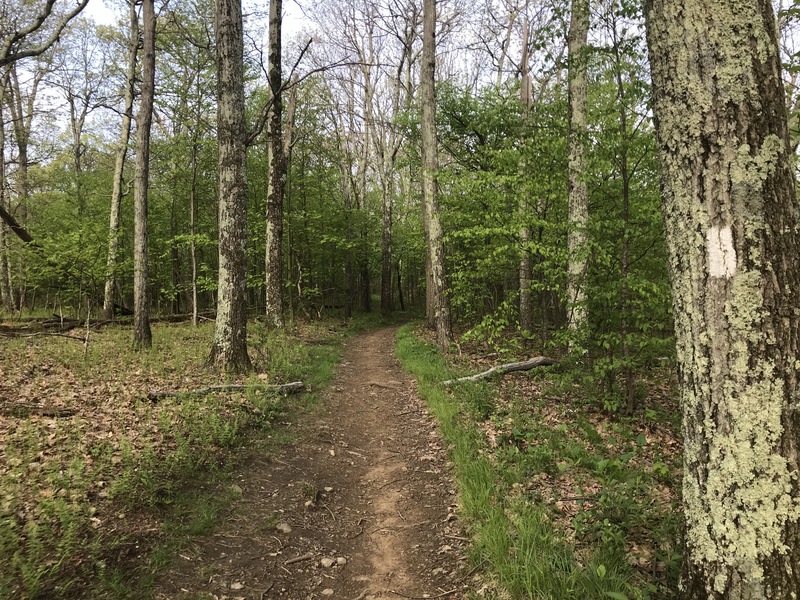 I was just lucky enough to find the trail blazed by a famous New England wanderer almost 200 years ago and followed his lead.